Why is it so hard to learn critical thinking skills? Traditional textbooks focus almost exclusively on logic and fallacious reasoning, ignoring two crucial problems. As psychologists have demonstrated recently, many of our mistakes are not caused by formal reasoning gone awry, but by our bypassing it completely. We instead favor more comfortable, but often unreliable, intuitive methods. Second, the evaluation of premises is of fundamental importance, especially in this era of fake news and politicized science. This highly innovative text is psychologically informed, both in its diagnosis of inferential errors, and in teaching students how to watch out for and work around their natural intellectual blind spots. It also incorporates insights from epistemology and philosophy of science that are indispensable for learning how to evaluate premises. The result is a hands-on primer for real world critical thinking. 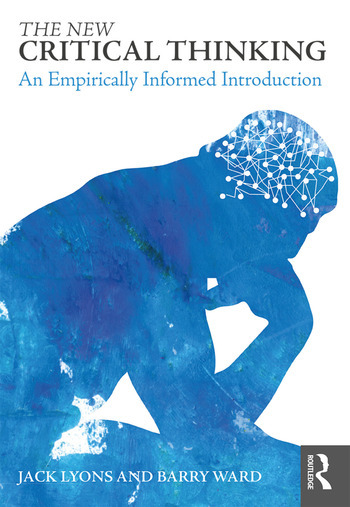 The authors bring over four combined decades of classroom experience and a fresh approach to the traditional challenges of a critical thinking course: effectively explaining the nature of validity, assessing deductive arguments, reconstructing, identifying and diagramming arguments, and causal and probabilistic inference. Additionally, they discuss in detail, important, frequently neglected topics, including testimony, the nature and credibility of science, rhetoric, and dialectical argumentation. Uses contemporary psychological explanations of, and remedies for, pervasive errors in belief formation. There is no other critical thinking text that generally applies this psychological approach. Assesses premises, notably premises based on the testimony of others, and evaluation of news and other information sources. No other critical thinking textbook gives detailed treatment of this crucial topic. Typically, they only provide a few remarks about when to accept expert opinion / argument from authority. Carefully explains the concept of validity, paying particular attention in distinguishing logical possibility from other species of possibility, and demonstrates how we may mistakenly judge invalid arguments as valid because of belief bias. Instead of assessing an argument’s validity using formal/mathematical methods (i.e., truth tables for propositional logic and Venn diagrams for categorical logic), provides one technique that is generally applicable: explicitly showing that it is impossible to make the conclusion false and the premises true together. For instructors who like the more formal approach, the text also includes standard treatments using truth tables and Venn diagrams. 2. How Can you Spot the Experts if You’re Not an Expert? 3. How Does Science Work? Jack Lyons is Professor of Philosophy at the University of Arkansas. He is the author of Perception and Basic Beliefs (2009). Barry Ward is Associate Professor of Philosophy at the University of Arkansas, Fayetteville.